Where do our girls attend school??? 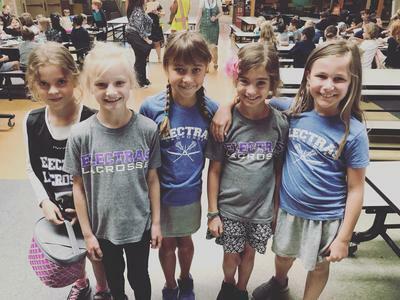 The mission of Electras Lacrosse is to provide an opportunity for girls to develop into future leaders through the game of lacrosse. The Electras were established in 2013 for the youth girls in Stapleton and surrounding areas. Named after Amelia Earhart's final aircraft, the Lockheed Electra, the Electras embraces the same qualities Earhart possessed, leadership, confidence and courage. Our focus is not only on athletic and lacrosse development, but more importantly, the enjoyment of sport, the love of being part of a team and the development of character that goes beyond the field.